Looking for reliable and affordable Computer Repairs, Services and Help in the Glaziers Bay area? Geekmobile is a Friendly, experienced Computer Repair company operating at Glaziers Bay. Our Technicians are of the highest standard and we fully cover Glaziers Bay and the surrounding suburbs including Lonnavale, Ida Bay, Crabtree, Raminea, Lune River, Lower Longley, Wattle Grove, Waterloo, Recherche, Lower Wattle Grove, Judbury, Grove, Mountain River, Southport Lagoon, Ranelagh, Strathblane, Southport, Lymington, Lucaston, Hastings, Woodstock, Petcheys Bay, Huonville, Glendevie, Glen Huon and Cradoc just to name a few! 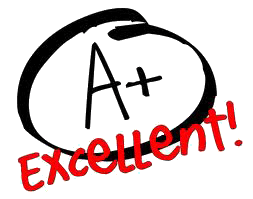 "Heinrich was FANTASTIC He knew his stuff and was an expert technician and fixed my complex problem. And he was fabulous to talk with - he was so friendly and professional. TOP BLOKE"